YOUNGSTOWN, Ohio — Kicks Lounge is bringing the streetwear culture to the area with a sleek, modern boutique at 3500 Market Street. It’s the third location for the Akron-based company that has locations in Hawkins Plaza and Arlington Plaza there. The Youngstown store originally opened in 2016 on Garland Avenue on the city’s east side before relocating to Market Street, said Sammi Ko, marketing manager for Kicks Lounge. The company is celebrating the grand opening of the new location on Saturday from 10 a.m. to 8 p.m. to coincide with the release of the Nike Air Jordan 11 Concord athletic shoe. The store will also have re-releases of the Air Jordan 4 Travis Scott Cactus Jack, Air Jordan 1 Court Purple, Air Jordan 1 Satin Shattered Backboard, and others. Special promotions for the day include buy one get one 50% off on select brands, and the first 50 customers will receive a gift with purchase. Kicks Lounge carries exclusive footwear and apparel affiliated with the streetwear culture, which Ko said has grown beyond casual clothes shopping. “People are actively seeking exclusive things,” she said. Kicks Lounge carries top streetwear brands, including Nike, Lacoste, Timberland, Champion, Staple and G-Star. Thomas Kim founded K&P Brothers Inc. in Akron and rebranded the shoe store to Kicks Lounge about six years ago. 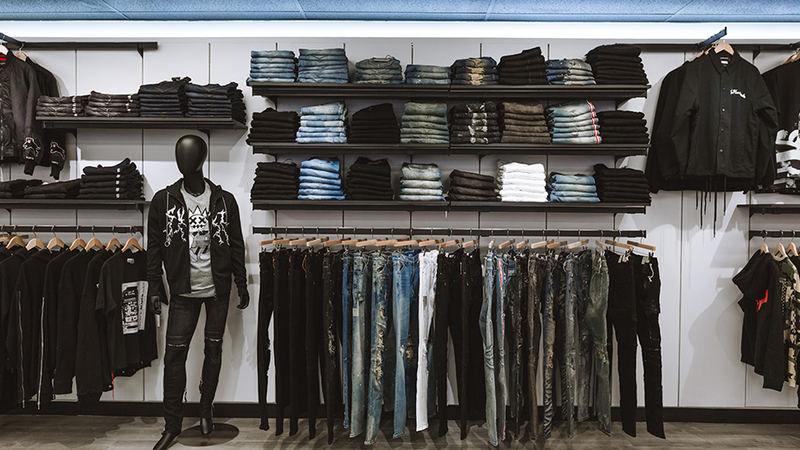 The Youngstown store employs a “highly-trained team of fashion stylists” to create a top streetwear fashion destination in the area, according to a company release. “With established streetwear expertise and our strong commitment to community and youth involvement, we are honored to be officially opening our third location serving the Youngstown community,” Kim stated in the release. At its Akron locations, Kicks Lounge supports and sponsors community programs including youth three-on-three basketball tournaments, the Akron Holiday Basketball Classic, Amateur Athletic Union basketball, and the Firestone Community Learning Center and East High School football teams. The company looks to establish such relationships with the Youngstown community, Ko said. DJ illWill and DJ GetIT will provide live entertainment and the store will hold a raffle for exclusive Complexcon merchandise, including Billionaire Boys Club, XLarge, Pleasures, M+RC Noir and Champion. Customers can enter the raffle with an Instagram or Facebook post using the @kicklounge tag. Kicks Lounge hours of operation are Monday through Thursday from 11 a.m. to 7 p.m., Friday and Saturday from 11 a.m. to 8 p.m., and closed on Sunday.